Located in Le Meridien Dubai Hotel & Conference Centre, Yalumba is a longstanding favourite among Dubai’s restaurants, serving modern eclectic cuisine with a unique blend of flavours from the East and West. In 2016, the restaurant underwent an interior refurbishment by LW Design, and Capsule Arts was appointed for interior styling. The new restaurant design was inspired by the warmth, texture and architectural details of wineries and cheese caves, and featured a number of suspended shelving units around the space requiring decorative accessories to accent the design. Capsule Arts’ approach to the styling was informed by the interior design brief and the heritage of the famous Yalumba winery in Australia, after which the restaurant is named; the process of winemaking was referenced in both the accessories selection and a series of custom wall installations developed for the venue. For the shelving units, Capsule Arts sourced items in the local market, procuring a mixture of vintage-style objects such as hardback books, clocks and orbs, along with wine-related vessels such as decanters, pitchers and oversize glass bottles. These were complemented by a number of authentic winemaking artefacts from Italy and France, including antique grape presses and cork inserters. A number of custom sculptures were also developed by the team for the project. 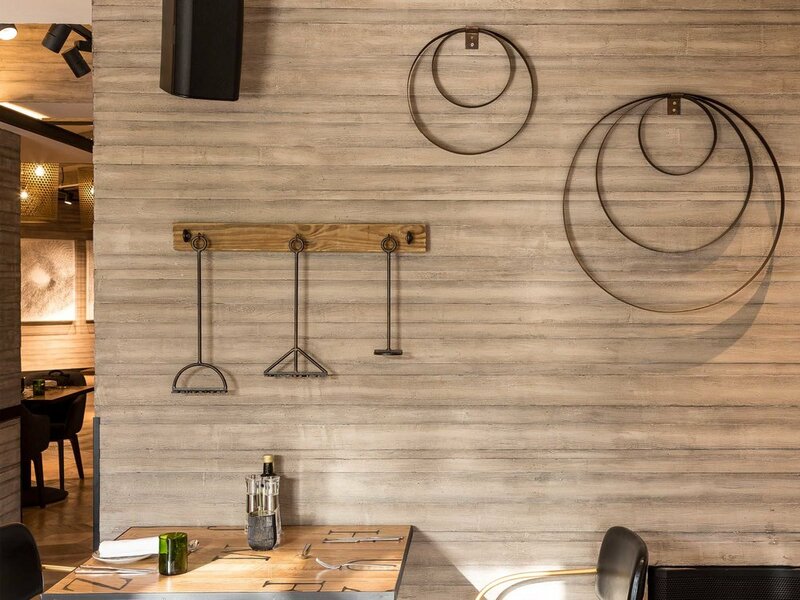 A statement iron nail ball sculpture was fabricated for the maitre’d desk, and for several walls around the restaurant, we created installations featuring metal wine barrel hoops and barrel branding irons. 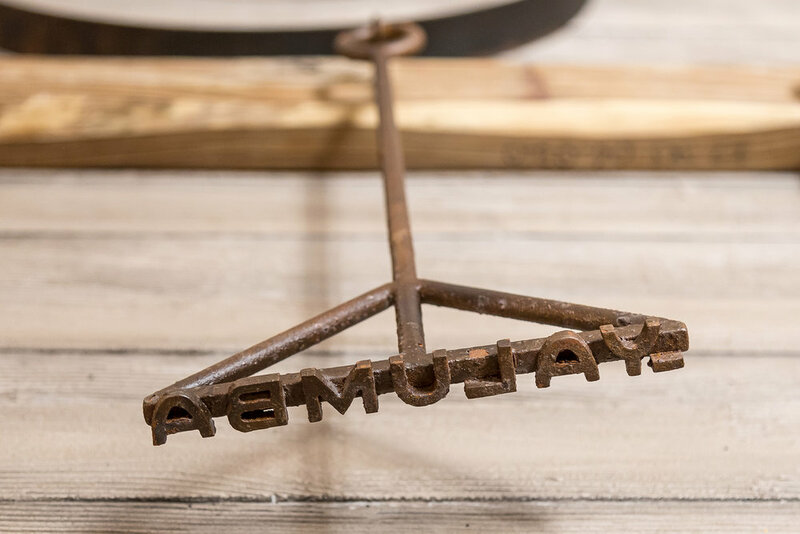 For the branding irons, Capsule Arts devised a series of designs relating to Yalumba's brand, such as the restaurant’s logo, opening date, and a reference to its famous Friday brunch.